The new authoring console that will be available with R2 has pros and cons (see my previous post) but for sure can be used to simplify the creation of basic monitors that must be run during business hours. The process is not intuitive, you must know how to build such a monitor, but nevertheless can be of great help when XML is seen as too awkward. 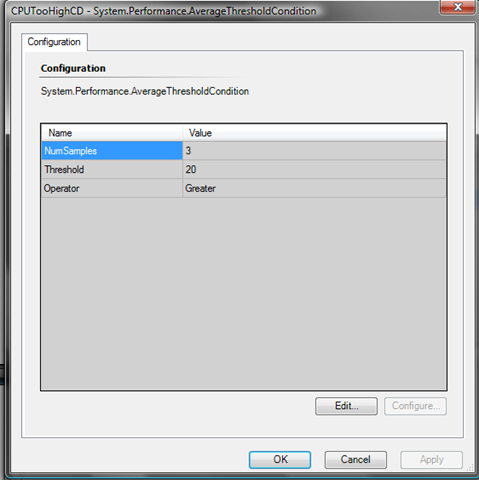 I want to follow up to my previous posts on running a specific monitor during business hours showing how to achieve this via the Authoring Console. 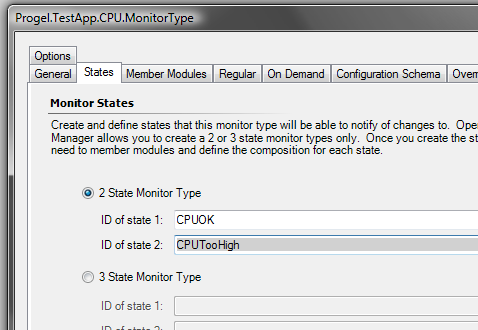 So, let’s take into account the scenario in which I want to monitor a LOB app CPU utilization only during business hours. A word of warning the MP we’re going to build is far from being complete, for example our monitor will not allow overrides nor we’re going to implement OnDemandDetections. Based on feedback and time I can build on that in future posts, but I’m not promising anything. 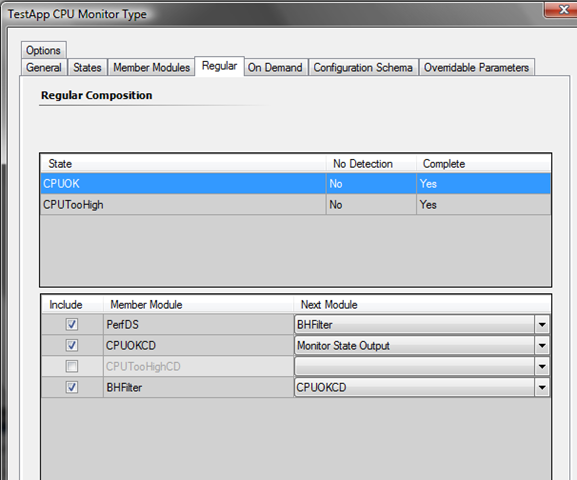 Create a composite monitor type. This is the trickiest part. Create a monitor based on the previous type. change the default discovery interval to at least 1 hour (the default is just crazy, 15 sec). As a best practice consider using at least a 4 hours interval in discoveries. 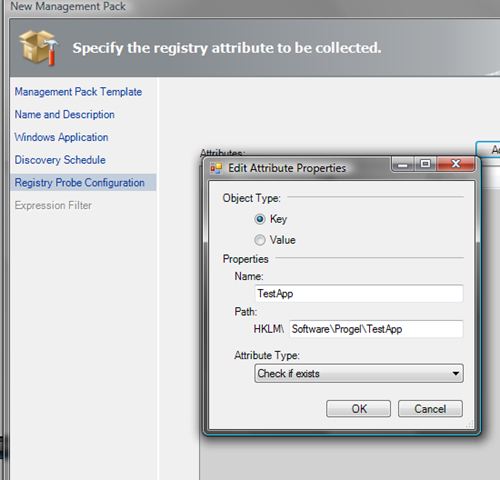 define an appropriate registry path to discover the app, in my example I will just test for a registry key existence for my mock application TestApp. Now your MP is able to discover the LOB application based on registry key existence. 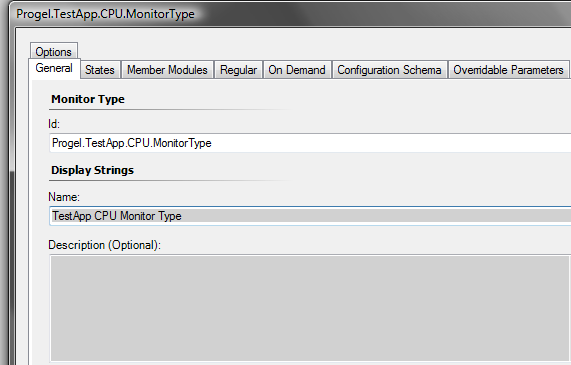 You can import it and check if the application is being discovered, the easiest way to do this is to use the Discovered Inventory view in the monitoring workspace of the Ops Console. Now comes the trickiest part, to build a monitor that runs only during a specific time window we must build a composite monitor with a workflow like this: a scheduler (our time window) –> an action probe –> at least one condition detection for every status we want (2 or 3 actually. Strictly speaking we can have a state for the undetected condition, but this will just add complexity to our example). Since we’re using a perf counter we have to slightly change our workflow, in fact we do not have probe performance providers, just data sources. One of the way to overcome this is to change the composition like this: performance data source –> scheduler filter condition detection (our time window) –> at least one condition detection for every status we want. 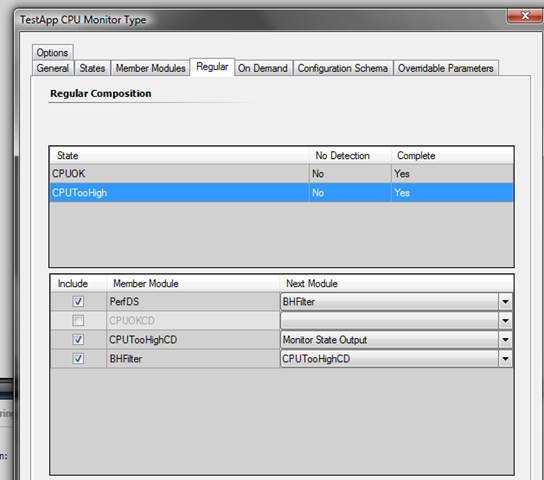 4) Ad two condition detections one for each monitor state. 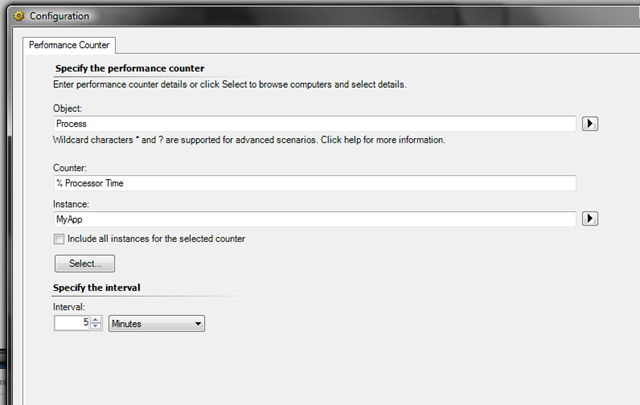 Since the monitor is based on performance it’s a good idea to use an Average Condition over a given number of samples. Let’s say our TestApp is ok if it uses less than 20% CPU time. 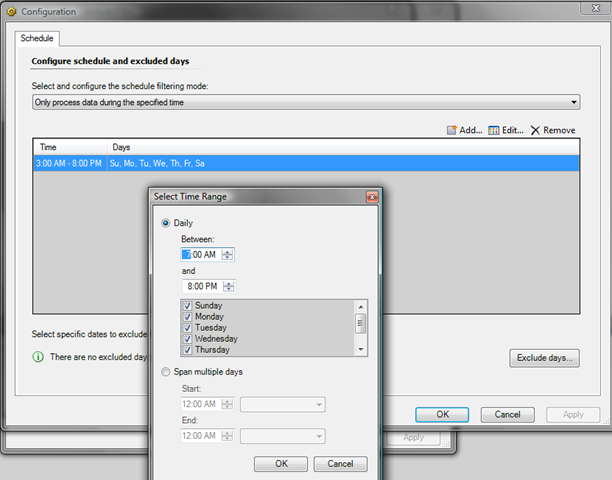 5) Add the Scheduler Filter this is where we’re going to define our time window or business hours. Here we must overcome a limitation in the current build of the Authoring Console. Since we’re talking about business hours is highly probable we need to consider the server local time, to do this we need to change the TimeXPathQuery property (useless in our scenario) with UseCurrentTime. We cannot do it directly form the authoring console so we must hit the “edit” button and change the resulting xml from <TimeXPathQuery>TimeXPathQuery</TimeXPathQuery> to <UseCurrentTime>true</UseCurrentTime>. 6) Use the configure feature to define via the UI the business hour period, in this example every day from 7:00 AM to 8:00 PM. 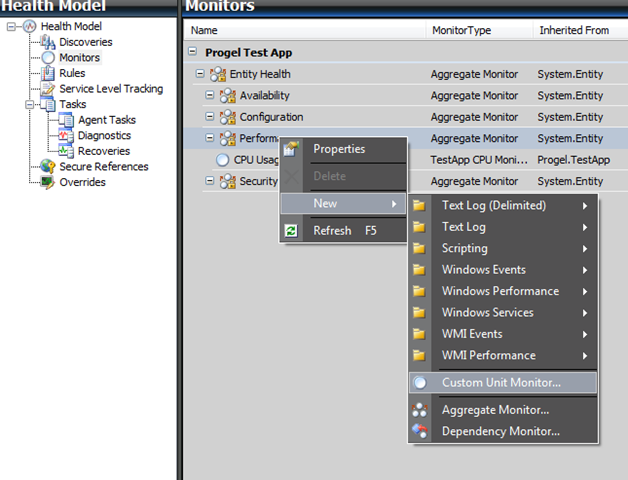 7) Now we have all the modules that we need to build our monitor type. The pictures shows all the modules you must have at this time. We just miss the workflow. This entry was posted on May 1, 2009, 2:48 am and is filed under MP Development, SCOM. You can follow any responses to this entry through RSS 2.0. You can leave a response, or trackback from your own site. Thanks for all the hard work . I used the business hrs composition extensively in both Linux and windows. Is it possible to create a standard module type that changes resolution state from warning to critical based on the amount of time a service/process is in a specific state ? IE after 10 minutes a downed service monitor issues a warning alert. after 15 minutes a critical alert is issued for the same service ? this is an interesting challange, for sure we can make the workflow stateful adding a POSH script, but I’m wondering if we can reach the same result using a sliding window correlator. I never tackled such a task, but it’s Worth a try. Alas in this end of the year period I’m fully booked, maybe I can give it a try during the holydays. Not promising anything :-). Thanks for the quick response . Enjoy the holidays ! … I am always grateful for whatever you have done for me and the community . Is there documentation online on how to do this with POSH ? Hi Raymond, I didn’t forget this topic. Thinking ont eh topic we basically have two ways to achieve the result, in the first one you just have to rewrite the datasource for service state using some Scripting (POSH or WScript). In the script just check for service state and if it’s bad write a registry key with the time stamp. Subsequent run must check the service state and if it’s bad compute the elapsed from the registry timestamp, if it’s good just reset the registry time stamp. To get a unique registry path you should use GetScriptStateKeyPath(). There’s a second way that theoretically should work, it involves correlators (see http://msdn.microsoft.com/en-us/library/jj130281.aspx). 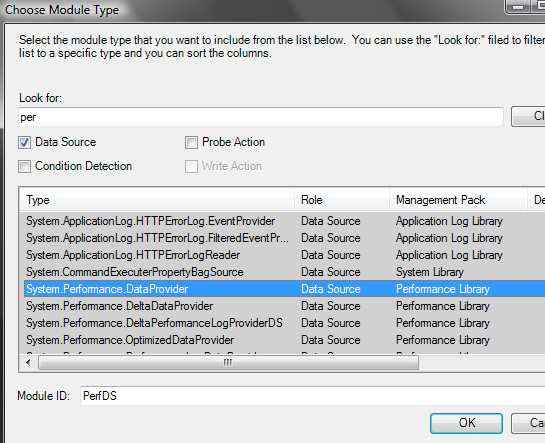 i configured my scheduler module exactly like yours, but i can’t get it to pass the performance data collected in the data source module to the condition detection module after the scheduler module. no data gets passed. it stops at the scheduler module. (i’m viewing this in the auth console simulator). 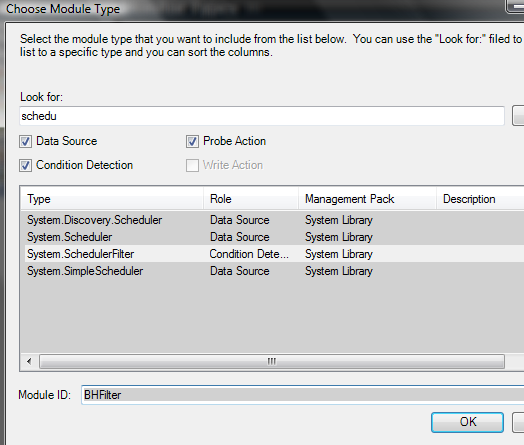 if i remove the scheduler module and go straight from the data source to the next condition detection, it works fine. The composition should be DS – Scheduler – CD. 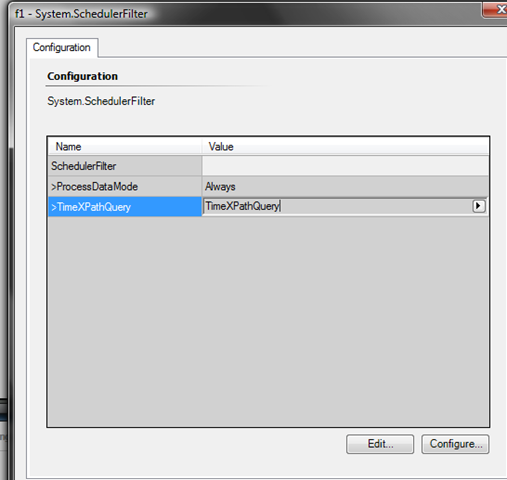 When you test it in the Authoring console is the scheduler condition satisfied? 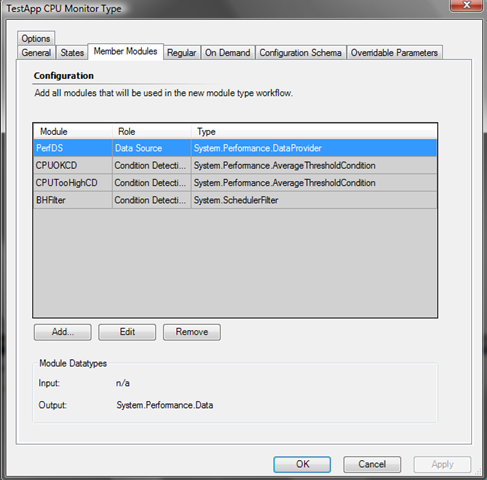 If you configured the monitor type as described you can be sure it will work. 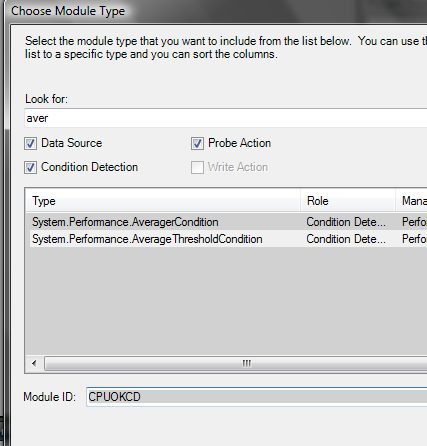 in step 4, you create 2 condition detection modules. i’m trying to duplicate this with a ConsecutiveSamples module instead of the Average module. so i have two separate “direction” parameters. while your setup has two separate “operator” parameters, right? the unhealthy module would use “greater” and the healthy module would be “lessequal,” as an example. 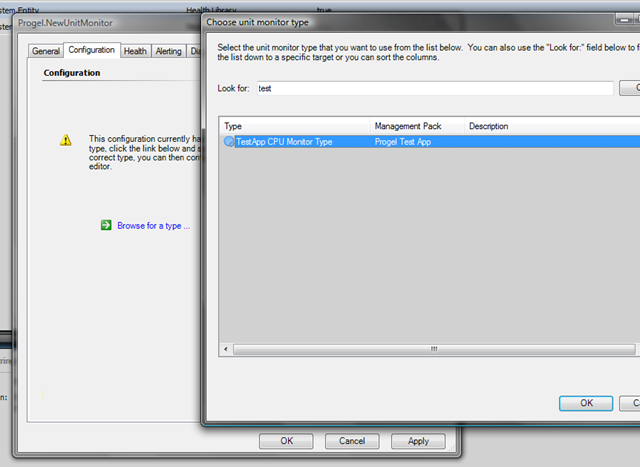 but when i create an actual monitor from this type, i only see one version of “direction” in the configuration. you skip over the details of how to configure the monitor between steps 9 and 10. I’m not sure I understood your question. 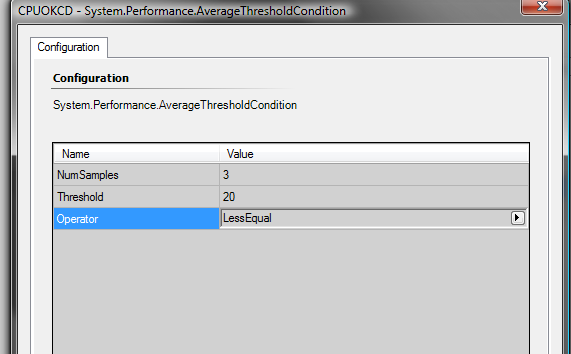 If you use a consecutive samples over thresholds condition detection you still need to define two conditions and here is where you need to specify the direction parameter. 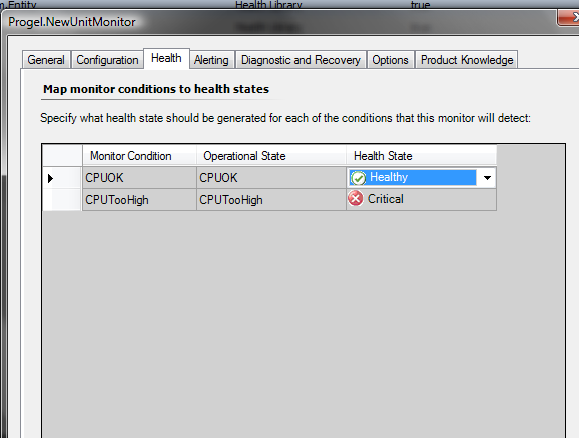 Once you create the actual monitor type you should just configure the health state mapping, the direction parameter should not be involved. Am I missing anything? Hello, Sorry if I am being a bit of a dufus, but, can you point me to the link that lists the pro’s & con’s of the Authoring Console? Hi Callum, thanks for writing. As far as I know there’s no such document and indeed it would be harder to write. Sadly there’s no ultimate tool for MP development, if you’re on the dev side you better use Visual Studio Extensions just released, if you’re more on the IT Pro side you’ll find more convenient the authoring tools. 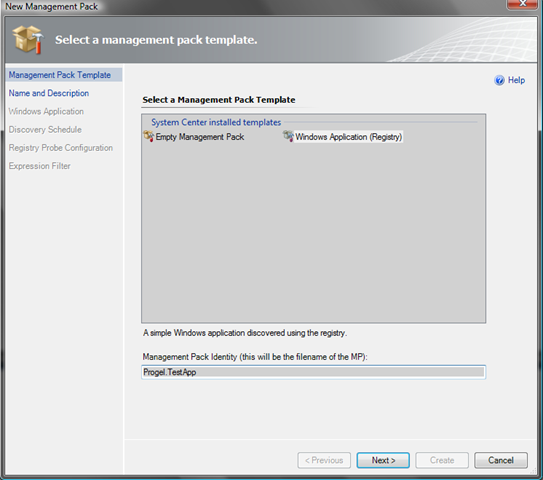 Depending on what you’re trying to do you can give a try to the Visio extensions as well.